Please note Festival Of Chariots - Jagannath Ratha Yatra occurred in past. 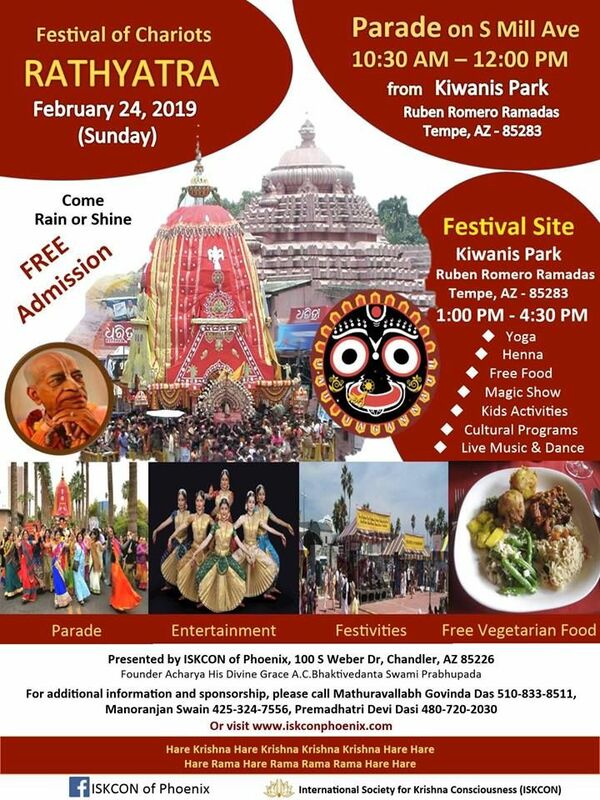 ISKCON of Phoenix invites all the devotees for Sri Jagannath Rathyatra - Festival of Chariots at Phoenix, Arizona on Feb 24 2019. 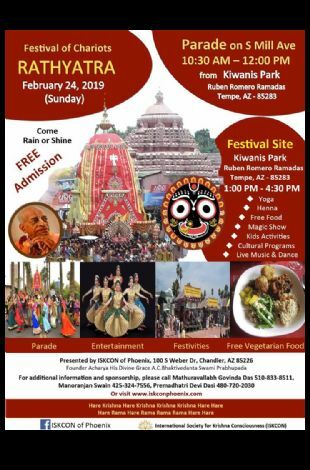 Please come with your family and friends to pull the chariots, to dance and sing in front of Jagannath Baladev Subadrmai carts, and to feast delicious Jagannath prasadham. This is a musical, dance, arts and cultural fest which you can invest your own self. Happiness Guaranteed and your lives will be blessed by Sri Jagannathji, Lord Jagannath guarantees liberation to everyone who sees the Lord Jagannath on the rathyatra cart.